Love the new word and it would be true if he ate all kinds of meat without complaint…. which he doesn’t. 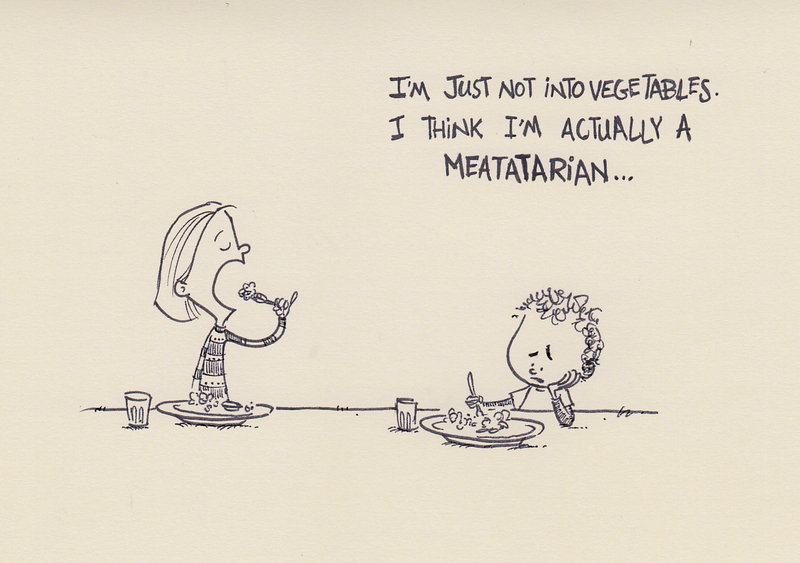 This entry was posted in Food and mealtime and tagged daddy blogger, dinner, drawing, food, ink, mealtime, meat, meatetarian, parenting, parenting skills, parenting tips, sketchbook, vegetables, vegetarian by artofdad. Bookmark the permalink.